Craddock clears major hurdle, finishing Tour's cobbled stage. Now he's recovering for this week's mountain stages. Lawson Craddock cleared the biggest hurdle of the Tour de France‘s first week, stage 9‘s rough cobblestones, and he did so nursing the broken scapula he sustained in a stage 1 crash. 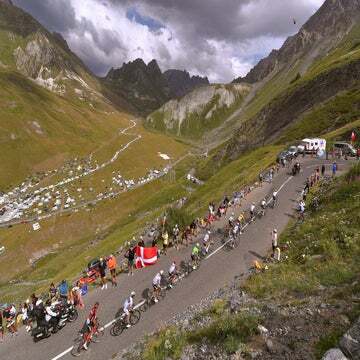 On the Tour’s first rest day, the American is last-place overall, the lanterne rouge. Although he was disappointed not to be able to contribute to his EF Education First-Drapac team’s efforts in Sunday’s stage, he expects to keep recovering and help when the mountain stages begin in earnest Tuesday. Unfortunately for his EF team, Rigoberto Uràn could have used an extra teammate in stage 9. 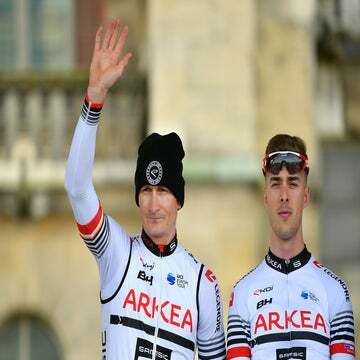 The Colombian GC leader, who was second in last year’s Tour, crashed 30 kilometers from the finish in Roubaix and ended up losing 1:55 to winner John Degenkolb (Trek-Segafredo). Craddock said he’d hoped to contribute to the team effort on the stage, perhaps in the early kilometers, but all he could manage to do was dangle off the back of the field. He said that as the stage reached the cobblestones, he couldn’t stay with the group. As he yo-yoed off the back of the field, he struggled with the pain as well as the frustration of not being part of the team effort. The 26-year-old from Texas left stage 9 battered by the rough pavé of Northern France. However, it afforded a glimmer of encouragement too. He pointed out that, although the stages through the Alps this week and the Pyrenees in the Tour’s final week won’t be easy, the racing will be a bit more controlled. “There are definitely more difficult stages but they’re also different,” he said. “The stress level isn’t quite there. The hierarchy, especially after Tuesday, will be set. We’ll know who are the big GC favorites. And then it will, of course, be big groups full of sprinters and domestiques where the only goal is to make it to the finish. Dane Cash contributed to this report from Roubaix, France.